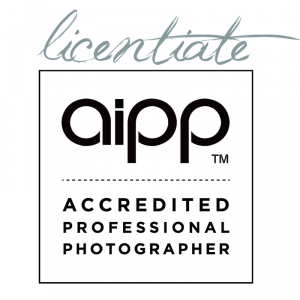 In 2015 Charles Foulsham AAP.L.M.Photog II had another career highlight by becoming a Licentiate AIPP Member. The studio is located in Sydney’s Eastern Suburbs at 4/491 New South Head Road Double Bay. Specialising in Childrens and Family Portraiture, Charles has knack for making all people completely relax, have fun, smile, and even cry from tears of laughter, in return he will capture extremely natural images that truly reflect your actual personality. He is also very good at photographing your pets too! Charles Foulsham AAP.L.M.Photog, II is an accredited member of the Australian Institute of Professional Photography. Last year in 2015 Charles, through years of hard work in the image business received his 2nd Gold Bar (3x Master of Photography) and also his Licentiate membership of the institute (APP). This is considered to be a mark of respect and recognition for seniority and experience, awarded to AIPP accredited members of 15 years or more. Charles Foulsham is the 2017, 2014, 2012, 2011, and 2010 NSW Illustrative Professional Photographer of the Year. He has won over 150 Gold and Silver Awards and has boasted the Highest Scoring Print in the past 10 years at both the Australian and NSW Professional Photography Awards. He has also won a multitude of International Awards including top 25 in competitions such as the International Aperture Awards. It is very important that you understand that Charles’s prices reflect the quality of his work, something that I am sure if you are a true connoisseur of photography that you will highly appreciate! Our print prices start at $150 upwards. In 2016 we will be adding some attractive packages to our price list. We have been in business since 1990 so our quality is of the upmost importance to us. All of Charles’s work comes with a lifetime warranty guarantee.